Last week I had the joy of taking part with a Chinese colleague, Hao Wang in a podcast about surrogacy. Hao is a partner in RayYin & Partners, a prominent Beijing law firm. Hao specialises in family law matters (including children and property) including overseas trust planning. She has spoken and been published widely concerning family law and trust law. It was quite extraordinary to attend at her office in Beijing and then to take part in a podcast to talk about surrogacy. Hao introduced me in Chinese. During the introduction the only words I understood were surrogacy and Stephen Page. 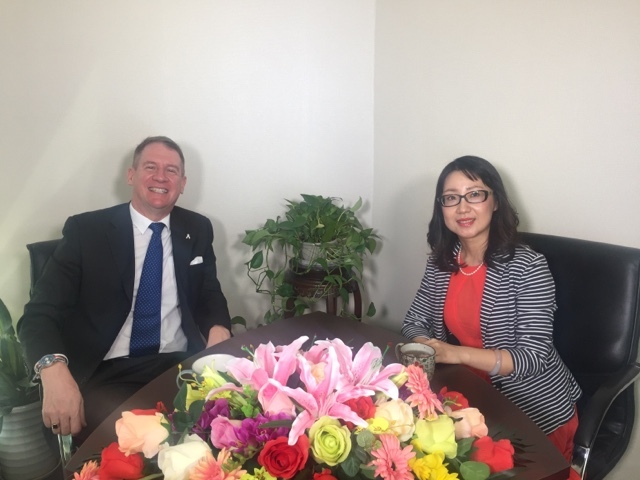 We then participated in a long interview in which I gave an overview about surrogacy and international egg and sperm donation including that available to Chinese citizens, and then we had the wrap up thank you – again in Chinese and again the only words I understood were surrogacy and Stephen Page! One of Hao’s interns will have the joyful task of translating my words into Chinese characters, a task which is somewhat difficult given some of the necessarily technical terms that are involved with surrogacy. It was an honour and a privilege to take part in the podcast. Great blog and good posts.Criminal solicitor’s that will fight to get you the best outcome at court! David Dribbin & Michael Brown have a combined experience in excess of 40 years.They direct an enthusiastic team of lawyers from their Geelong office that regularly attend the Geelong Magistrates Court.